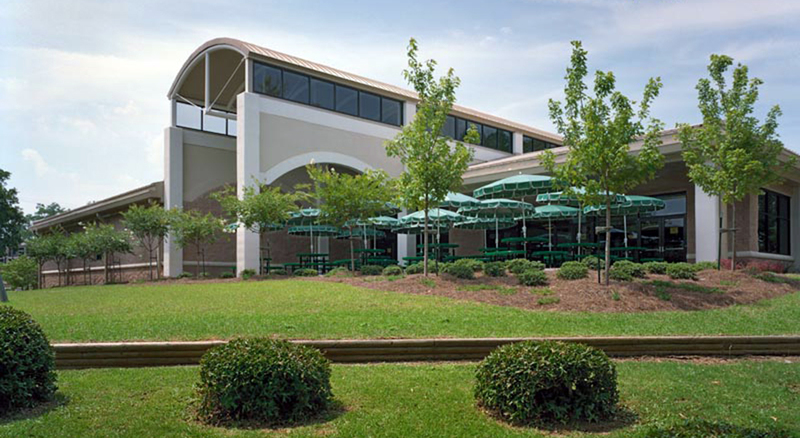 This new dining facility accommodates 216 patrons in three separate seating areas and has a large exterior patio which can hold 60 patrons. 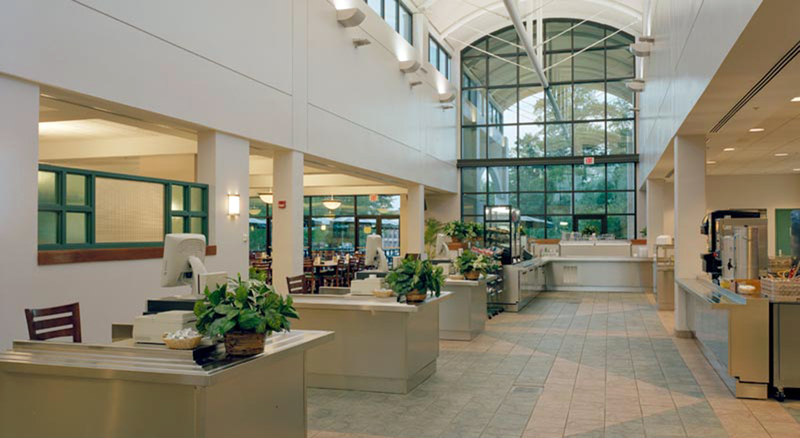 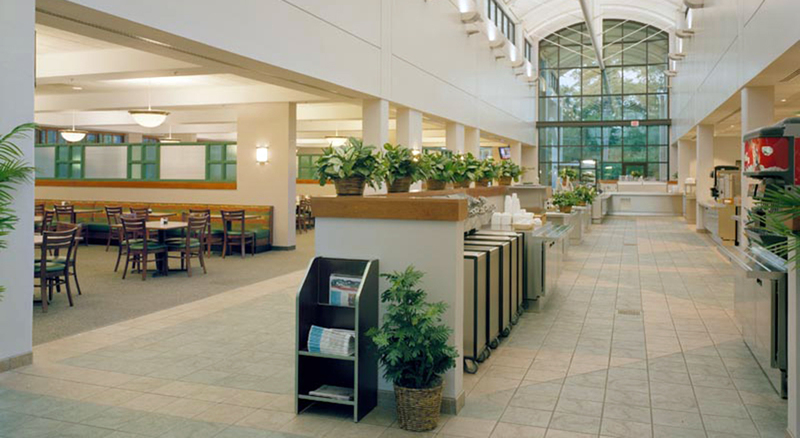 The structure is organized around a two story serving/circulation spine which provides natural light deep into the facility by way of a clerestory, creating a more comfortable and welcoming area. 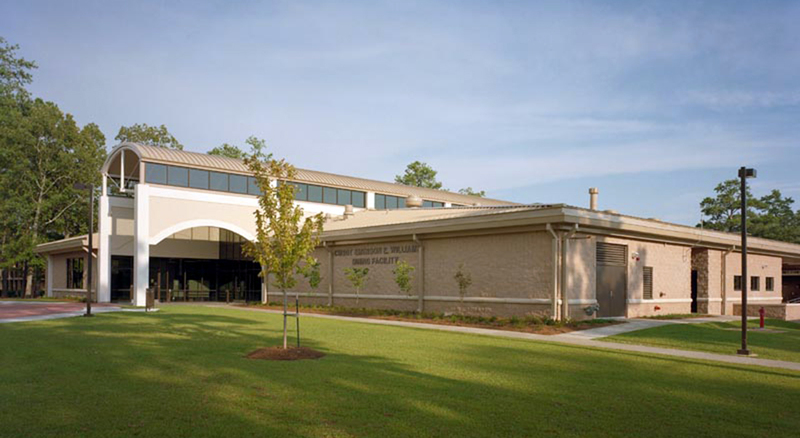 The use of local split face masonry material, barrel vault configuration, and a light colored high immensity metal roof provides an architectural reference to context and heritage of the Air Force Base at Sumter, South Carolina.